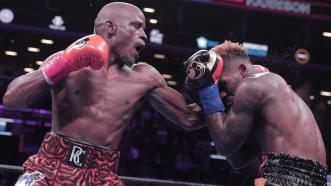 Detroit’s Tony Harrison (28-2, 21 KOs) pulled off the upset to win a narrow unanimous decision over Jermell Charlo (31-1, 15 KOs) and capture the WBC Super Welterweight Championship. 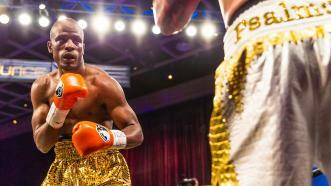 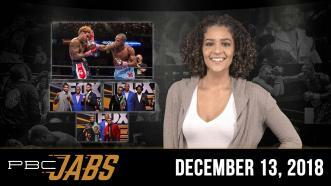 This week on PBC Jabs, we preview our final boxing event of the year and it’s almost time for you to vote for PBC’s moments and fighters of 2018. 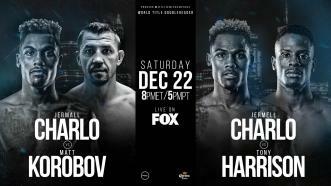 PBC on FOX returns to primetime with a world title doubleheader featuring interim WBC 160-pound world champion Jermall Charlo battling once-beaten Matt Korobov and WBC 154-pound world champion Jermell Charlo taking on top contender Tony Harrison. 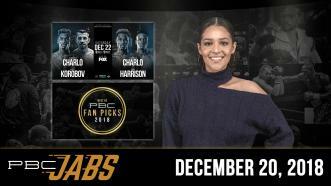 This week on PBC Jabs we reveal the details of our latest network TV deal, we take a look at our December 22nd FOX show and we check in with junior middleweight title challenger Tony Harrison. 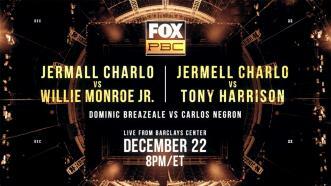 Unbeaten Jermall Charlo defends his interim WBC 160-pound belt against former two-time title challenger Willie Monroe Jr. Plus, undefeated junior middleweight champion Jermell Charlo makes the fourth defense of his WBC 154-pound title against two-time title challenger Tony Harrison. 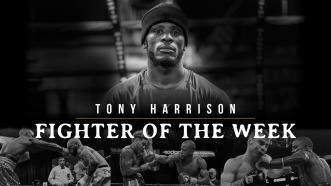 Junior Middleweight title challenger Tony Harrison returns to the ring Dec. 22 at Barclays Center when he faces WBC Champ Jermell Charlo on PBC on FOX. 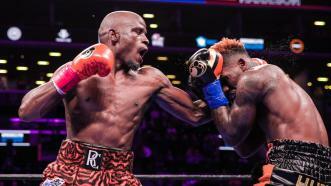 Tony Harrison edges former world champion Ishe Smith with a split decision victory on May 11, 2018 on Bounce.